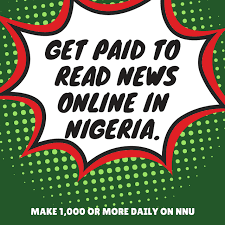 NNU is a platform that allows people to make money online while doing what they love. In this blog post I will be reviewing NNU Income Program. I will be discussing with you the good and bad, and how NNU Income Registration is done. NNU has been in existence for the past 2 years. This program is aimed to help students, youth, middle class and whoever sees it as a good opportunity to boost his or her financial status. This program allows you to make money Passive or Active. As a worker in your office you can make up to N50,000 a month by just reading news and sharing the post to facebook. Like as i promise to tell you the good and bad of NNU Income Program. All I will be discussing here is from experience. I have been a member of this community for quiet period of time. After the good and bad experience I have decide to share it with my readers. It has become the talk of the town – that NNU income platform is a scam, while some said is not. Don’t worry I will clear your doubt and tell you what NNU. NG is all about. NOTE: NNU income platform is not like PONZI scheme like MMM, Twinkers and co. You don’t actually need a referral to make money. I will be breaking down the money making method in this platform. There are two ways that you can make money online using NNU Income Platfrom but first it is important to do NNU Income Registration. NARS: Nars is the ad Revenue Sharing, this platform allows NNU registered members to partake in the company monthly earning. DAILY LOGIN- Here as a registered member of the program you receive daily bonus. So you are required to login into your account daily to earn N50. 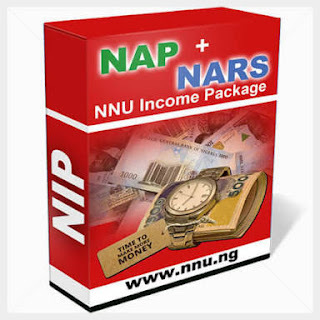 SHARING SPONSORED: NNU income platform always provide sponsored post on daily basis. You are required to share this sponsored post to facebook daily. You earn N100 by doing this. NOTE: At the end of the month the company always verify if you are actually sharing the post to facebook. I advise you to choose one facebook account, because at the end of the month when you are requesting for payout, you will be asked to submit your facebook profile link. COMMENTING: Since the company upgraded their earning system for better of their members. Comment earning has increased from N1 to N2, but this is calculated as per each relevant comment you make on a post. With the above mention means, you can earn N10,500 from NNU income program. Now the company credits your account with N350 daily. All that is left for you is to complete your job for the day. N200 - To Make 100 comment each day. I hope you are no longer asking why N350. So each day you own them of 100 comments. Wowoo you see, how one can make actually make thousands of naira on NNU monthly. I advice you not to waste time but join this platform by doing NNU Income Registration. This Method is actually where the money lies. Here your earning is not limited, with this platform you can earn N100,000 per month. Very simple, you turn to affiliate marketer. Here you get people to register using your referral link. As they make their onetime payment of N1,600 you earn 62.5%. Awesome amount, now you why i said earning is unlimited with this method unlike NARS. NAP also helps you to get paid fast. I know many people will be asking how NNU makes their money. So, I have decide to share with you have NNU makes their money. Through Google Advert: The company website (NNU website) makes money by displaying Google advert on their blog. Google advert is a program that allows bloggers to monetize their blog or website. Here advert is been displayed on their blog and they get paid. Sponsored Post (Paid Advert): This is another way that bloggers make huge money. A company or person can paid you to get his or her brand displayed on your blog. NNU NG uses this method. This last method is available for bloggers. As a blogger I can pay them to get a Dofollow link from their blog. For you to register for NNU income program you have to payment of N1, 600. This payment is done once and it makes you a full member of the community. To avoid been scammed because they are many site that looks exactly like NNU income platform website. I have provided a link that will redirect you to NNU website. When you are redirected to the website you will be required to fill in your details and follow the process to make payment. I recommend online payment via voguepay or alternative to use Direct bank transfer but from experience I recommend payment via voguepay for fast account approval. Now if you have finished making payment. Forward your payment details, email (the one you used for registration), and account username to NNU income support email. Wait for account approval. After 24 hrs you will receive email telling you that your account has been approved. Now, proceed to their website. login into your account… and start earning. During NNU Income Registration please use unique username, easy to remember password. Never you share your password or account username with anyone to avoid your account been hacked. Even if the person claim to be NNU staff. Please don’t, and the company is not responsible for account been hacked. From the beginning I have been telling you the good of NNU income program. Let’s talk about the bad. One bad I have seen about NNU and of which their members complain about – is that sometimes the company website (NNU website) will be down or slow to load. This happens when the management is upgrading their features to provide their users better platform. Although they always apologies and compensate their members for that. I know that i have done justice to NNU Income Registration, so what are you waiting for? CLICK HERE TO REGISTER. Please use the social media buttons below to share, it is welcomed. 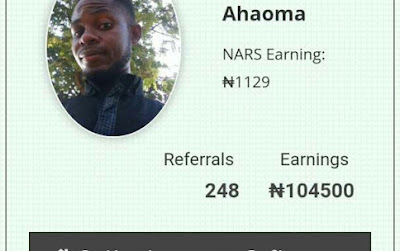 Up next is how to get Unlimited referral on NNU income Platfrom.. stay tuned, I will be sharing it with you guys.